Every one of us craves a holiday. This is our time to just relax and let go of our worldly troubles. One of the best things about any holiday trip is the accommodation. You look for a home away from home where you are comfortable and settled. You have your options to explore from; from a B&B to a budget hotel resort, a beach resort or if you are in a mood to splurge a luxurious hotel. If you are looking for peace and a break in Pondicherry, the town offers a unique experience with its mix of modern heritage and spiritual culture. Enjoy your stay in Pondicherry, choose one of the suitable hotel. Palais De Mahe is a distinguished address in the French Quarter with a distinct colonial stamp. 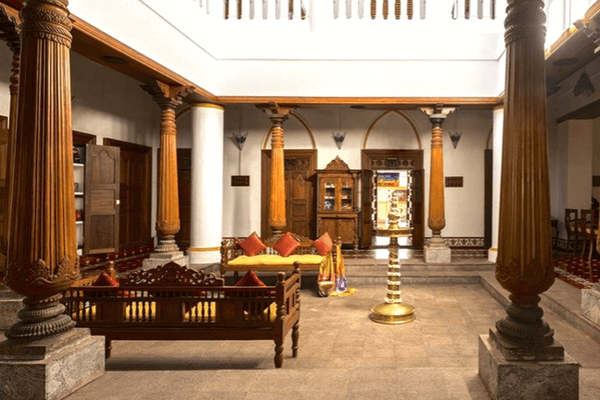 This signature hotel – with its majestic courtyard, deep verandas, attractive pillars and period furniture – combines south Indian flavour with French fervour to give you an unforgettable experience. Considered amongst one of the best hotels in Pondicherry, the beach is just a few steps away from your doorstep. The food at the in-house restaurant is phenomenal. Ask the chef to recommend something during your meal. Your taste buds will thank you! 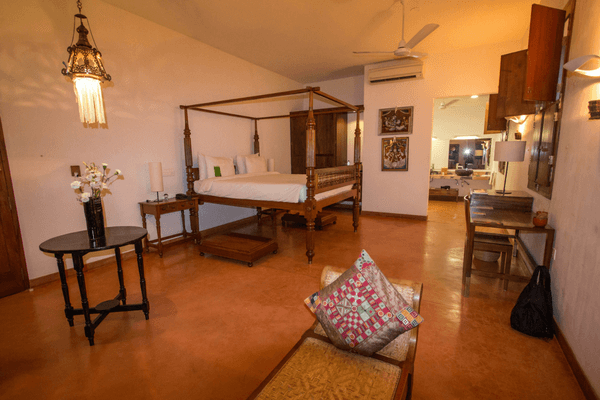 Step into beautiful modern rooms that combine super chic design in Tamil and colonial-style elegance with four-poster beds, Chettinadu tiles, walk-through bathrooms, Tamil-language murals and an undying regal charm at Villa Shanti. 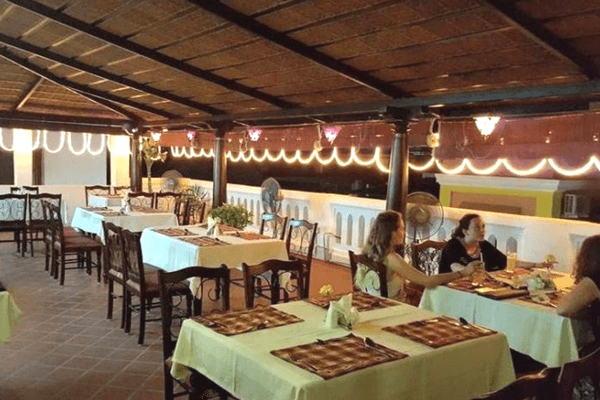 The in-house restaurant serves excellent Indian and Continental dishes. If you want to pick some handicrafts, check out their in-house handicraft store, The Little Big Shop. Hôtel du Parchas has an unhurried charm, an ambience of serenity and tranquil elegance to unwind for discerning travellers. 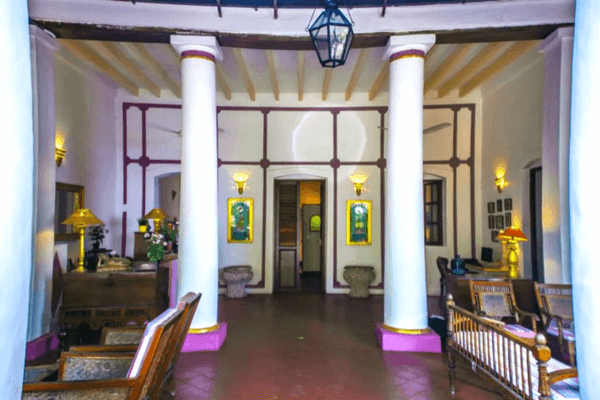 This 17th-century built heritage hotel is one of the best hotels to stay in Pondicherry. 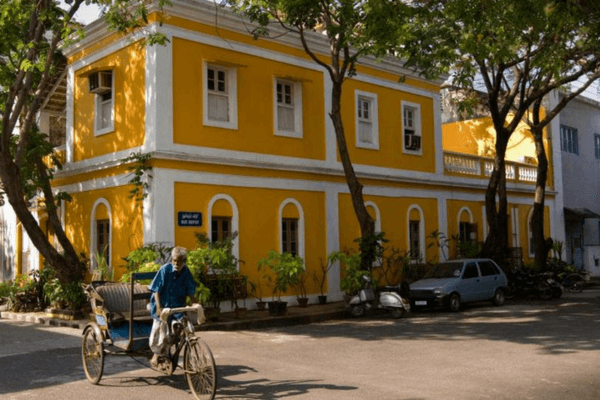 Plan your trip to Pondicherry now! The hotel is known to have some amazing antique French furniture on its premises. 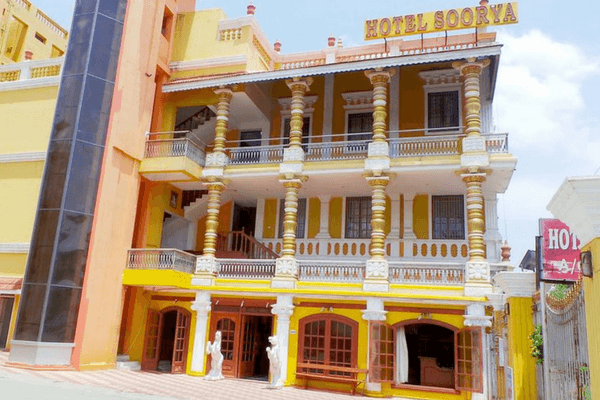 The hotel is walking distance from some of the best sights including Bharathi Park, Scenic Beach Boulevard, Sri Aurobindo Ashram, and Museum. If luxury is what you are looking for, then this is the place to be. A sprawling four-star luxury property located in the heart of the city, Shenbaga Hotel & Convention Centre stands amongst the best hotels in Pondicherry, with the beach just a kilometre away. If you are on your honeymoon in Pondicherry, then check out their special honeymoon suite. The hotel is known to have a grand gym and a nice spa. 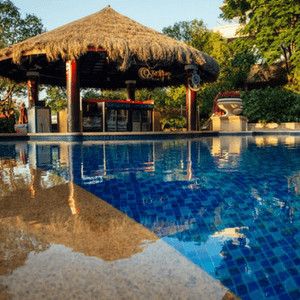 Plan an early morning dip just as the sun rises as there is a stunning rooftop swimming pool. Situated close to the French Colony, this luxurious star property known for its impeccable service and grand interiors counts amongst the best in hotels and homestays in Pondicherry. The view from their rooftop swimming pool is stunning and one of the best things to do here is to take a relaxing dip once the sun sets. They have a special French-themed restaurant that serves great food, a lounge bar and an in-house spa. 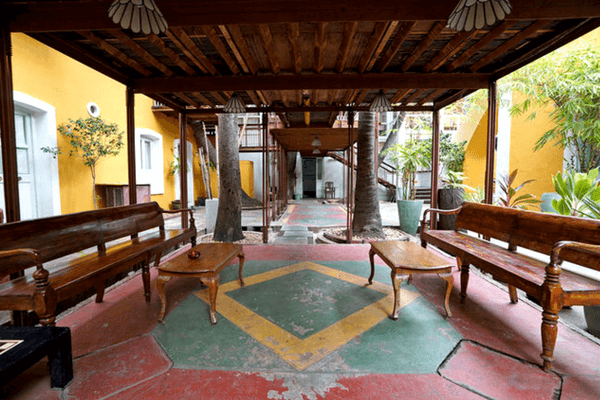 This hotel is a quaint boutique hotel set in the French Quarter of Pondicherry. A perfect blend of traditional interiors with all modern conveniences built in contemporary style, it oozes charm. 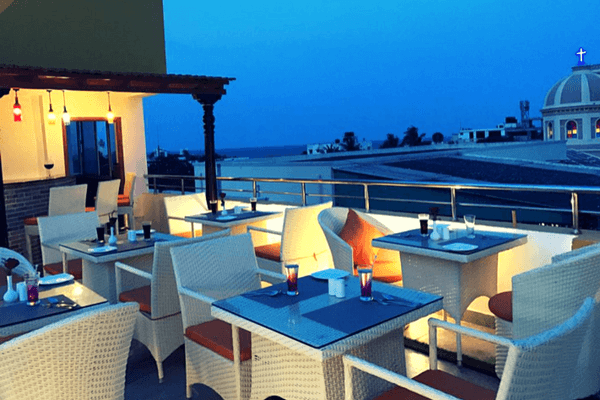 The rooftop dining under the stars overlooking the sea here is a great experience. If you do not wish to venture out in the evening, you can enjoy a great evening at the Sea view “Infinity” lounge bar. The interior of the hotel is a mixture of fun and comfort. Some of their rooms also have a comfortable swing! 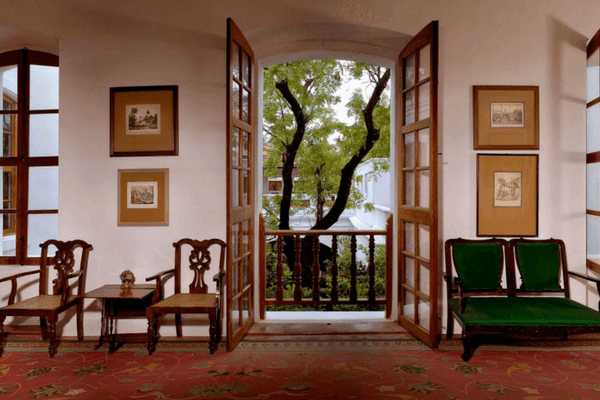 Le Chateau is a boutique hotel aesthetically designed to mirror Pondicherry’s French architectural heritage. Situated in the French Quarters on Rue Romain Rolland and a stone- throw away from the Beach Road, location is excellent. You should enjoy the barbeque at their rooftop barbeque restaurant. 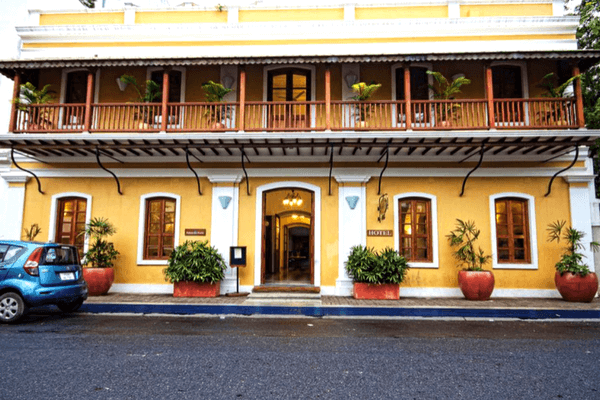 Housed in one of the few remaining 19th-century French houses in India, Hotel de Pondichéry is a classic example of the chic French touch. The hotel will remind of the days gone by as they have mixed the elegance of the past along with the flavour of France. Originally, the hotel was a townhouse and has been restored to its original glory. 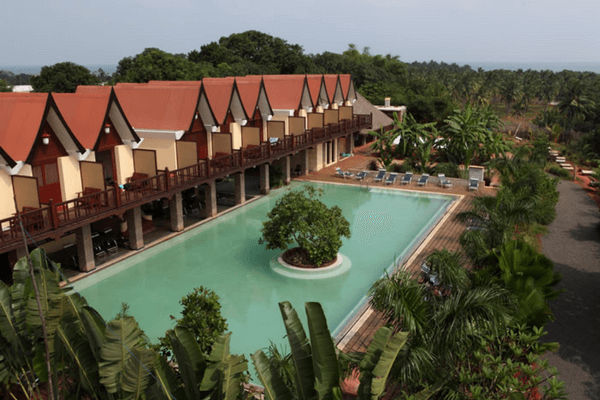 You should explore its unique tropical garden setting and its French architecture. Dune Mansion Calvé is a charming heritage hotel set in a 150-year-old Tamil mansion with the influence of French and Baroque architecture. This stunning hotel exudes undeniable charm and regal aura. What makes Dune Mansion Calve one of the best hotels in Pondicherry is the fact that no two rooms look the same. Indulge in various activities like cycling, boating and try your hand at milking the cows! The façade of the hotel is quirky and has a very peculiar charm to it. This makes it a good spot for your next picture on Instagram. The Sri Aurobindo Hand Made Paper Factory is just 500 meters away from the hotel and you can hire a bike from the hotel if you want to go about enjoying the sights of Pondicherry. This 1760 built stunning heritage property is nestled in the heart of the ‘White Town’. High raftered ceilings, designer rugs and warm interiors make this charming property amongst one of the best hotels to stay in Pondicherry. The hotel has special heritage walks, campfire and can take you on a trek as well. La Villa boutique hotel’s colonial facades, white walls and spacious rooms veiled in precious fabrics and furnished with contemporary designs made from old wood, add a stunning charm to the place. You have to check out their charming shaded swimming pool, even if you do not know how to swim. You can relax by the stunning garden restaurant with a book as the hotel has an in-house library. 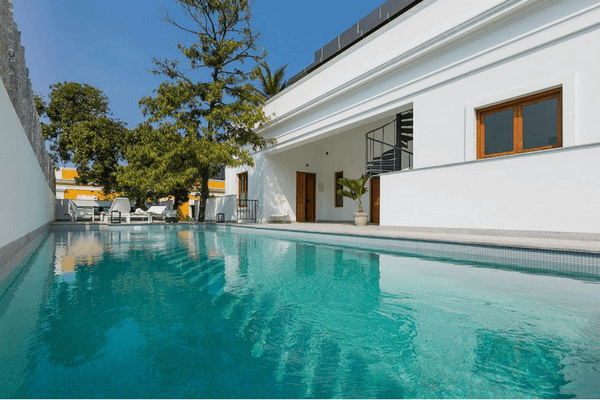 Set in the heart of Pondicherry, near Aurobindo Ashram, La Grace Integral Retreat is a charming and tranquil place to stay in the tiny town of Pondicherry. The retreat’s main USP is that it targets patrons who are looking for a change and are on a path to find inner peace. The retreat has a 24-hour meditation centre. There is a cashew plantation near the retreat and should be explored. This tiny 9 room home is quaint, peaceful that is the perfect place if you are looking for a home away from home. The heritage structure is being restored to its original charm and all the furniture used inside have been recycled from and restored. Since you will be living in someone else’s house, there are a few guidelines you should follow. There is an in-house boutique that sells vintage and antique jewellery and some amazing fabrics. Surrounded by mango and cashew trees, Mango hill is one of the best hotels in Pondicherry. It has a very old school charm and you can truly destress on your stay here. The owner of the hotel is a cheesemaker and you can learn to make cheese while you stay there. Most of the rooms have their own private terrace and also have an in-house organic garden where they grow a lot of their produce for the hotel. This guesthouse is located in secluded areas and is just a few minutes away from the beach. While the guest house only has few rooms, its charm will bowl you over. All the rooms have teakwood furniture, which gives it a very classy feel. One of the best things about this place is that it is away from all the hustle bustle of the city and has a very calm feel to it. So now, we have given you a long list of the best hotels to stay in Pondicherry to choose from, so what are you waiting for? Book your holiday package today and go on a relaxing vacation.